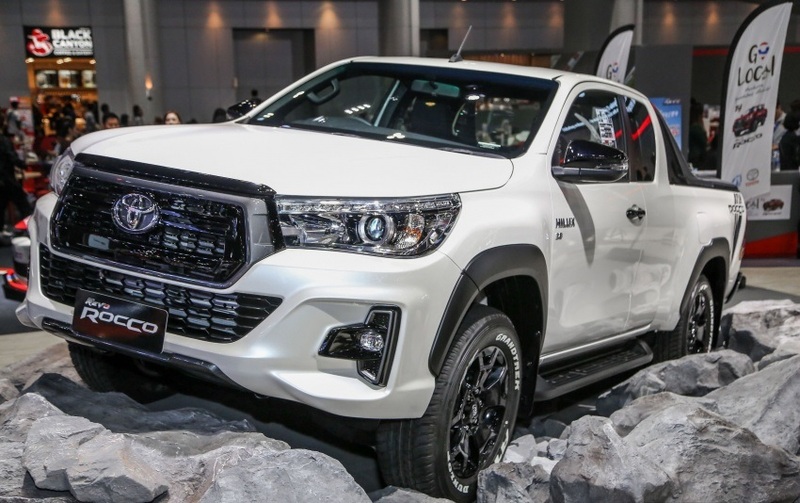 Toyota has launched facelift of 8th generation Hilux Revo in Malaysia. 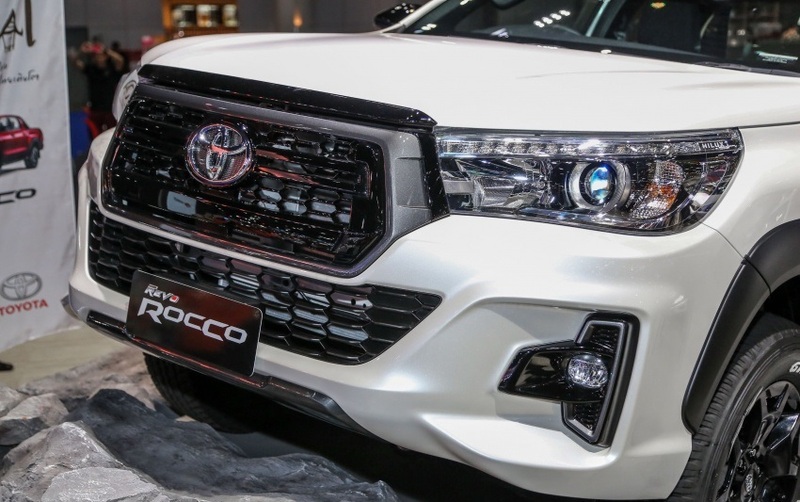 The vehicle is available in two different variants; one is equipped with 2.4 liter 2GD-FTV turbo diesel engine and the other which is known as “Rocco” – range topper comes with a 2.8-liter 1GD-FTV engine. It is to be noted here that in Malaysia the company has marketed the facelift of the vehicle as L-edition, which means luxury. The range topper of the facelift Rocco is equipped with 18-inch wheels with all-terrain tires. Moreover, it has a more pronounced grille with a glossy black interior. With just looking at the Rocco for the first time, one can easily tell that the product is rugged and especially made and designed for off-roading thrill and experience. 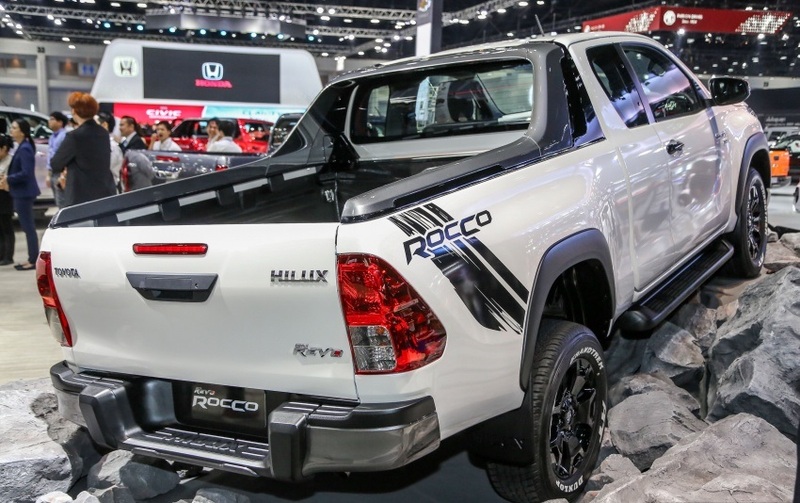 Range topper Rocco has special Rocco graphics on it. 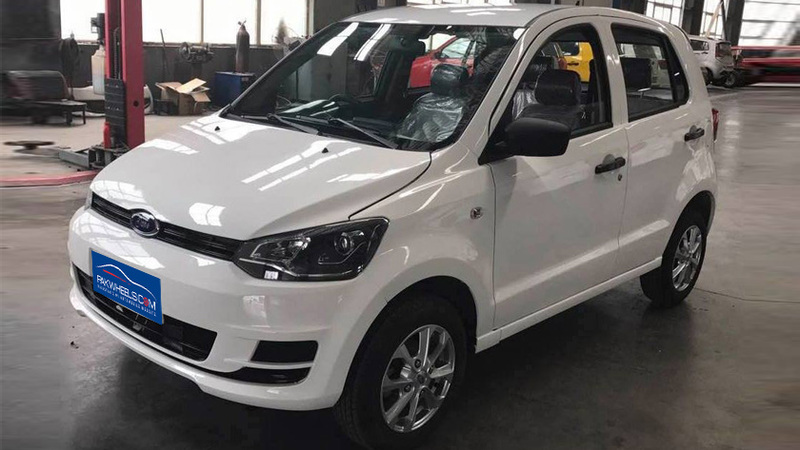 The facelift is equipped with all the features such as multi-info instrument cluster display, smart entry and start, seven airbags, and Vehicle Stability Control (VSC), etc. 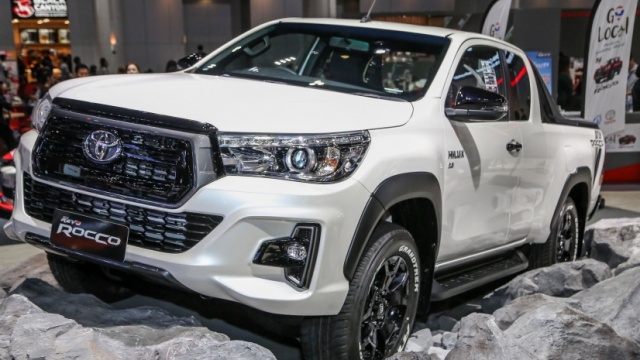 The features are almost the same as in the pre-facelift Hilux. 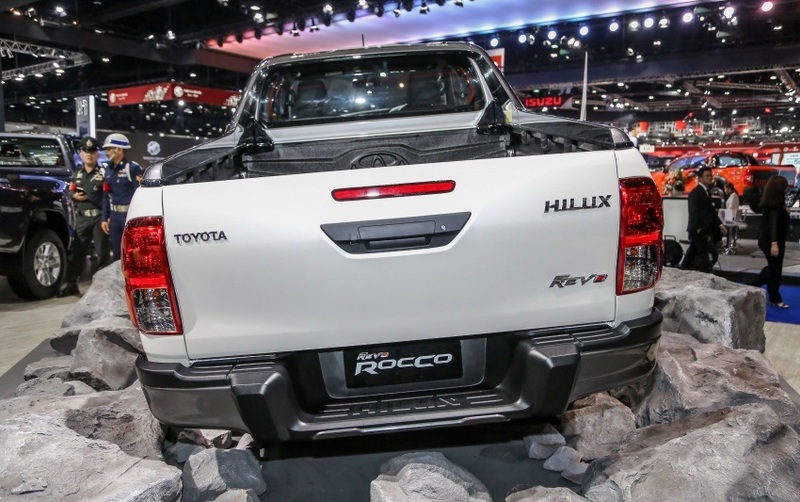 The new Hilux Revo is available in both manual and auto transmission. The 2.4-litre 2GD-FTV engine coupled with six-speed auto transmission makes 150 horsepower and 400 Nm of torque, while on the other hand, the 2.8 liters 1GD-FTV produces 177 horsepower and 450 Nm of torque with auto transmission. 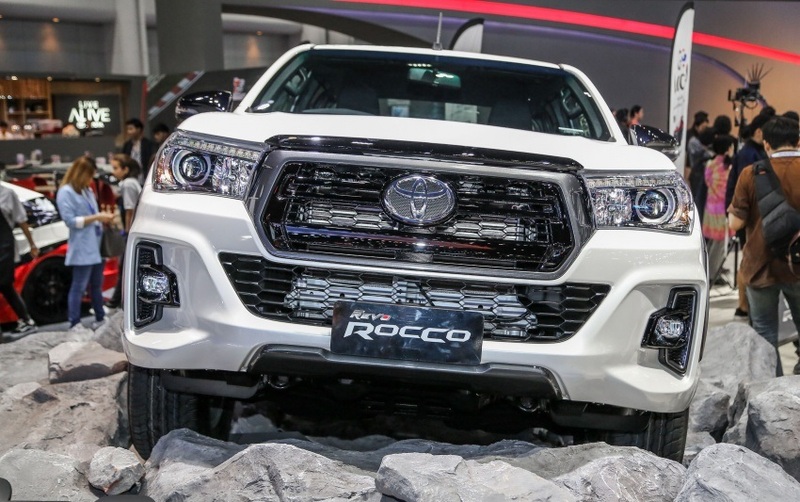 You can update the face of your current Revo with a Racco facelift kit. The kit will be delivered right to your door step. 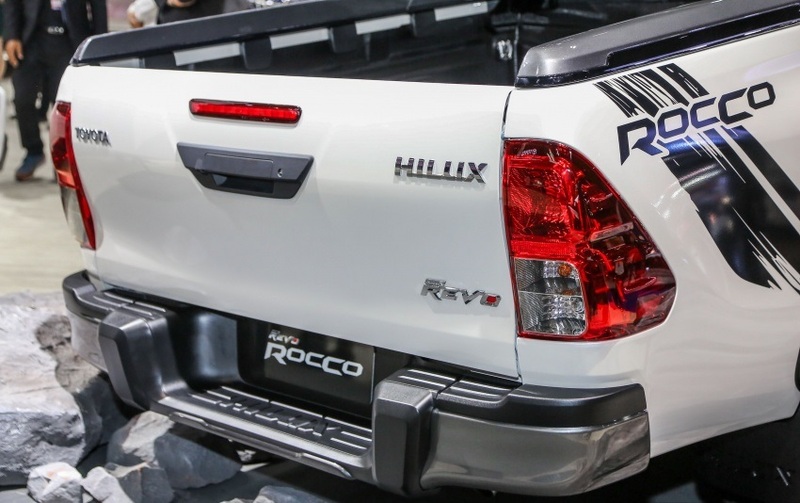 Get body kit and convert your Toyota Revo to Toyota Rocco from PaKWheels.com auto parts and accessories online shop. 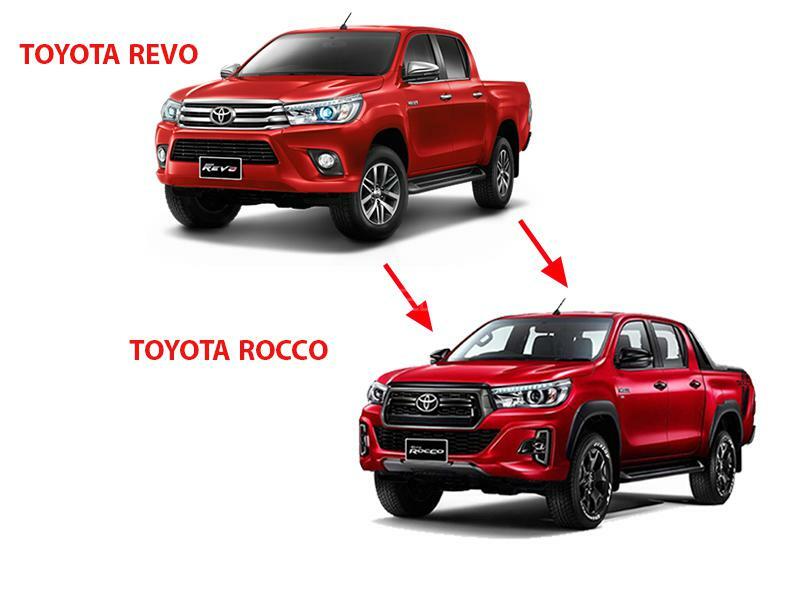 Moving onward, in Pakistan, the manufacturer of Toyota cars – Indus Motor Company has changed the engine of their Revo to 2.8L 1GD-FTV engine from the older 3.0L 1KD-FTV engine.